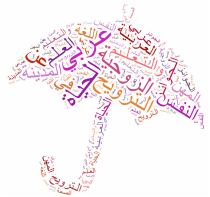 Topics covered in Arabic 3. Topics covered in 8th Grade. These courses' primary goals are aligned with the ACTFL national standards. 1- Communication: Students function in a variety of practical settings using listening, speaking, reading and writing skills as well as knowledge of the culture. 2- Culture: Students demonstrate an understanding of traditions, customs, beliefs, and cultural contributions and how these elements related to language. 3- Connection: Students connect information about the language and cultures they are learning with concepts studied in other subject areas. 4- Comparison: Students recognize, compare, and contrast language concepts as well as cultural perspectives, practices and products. 5- Community: Students use the foreign language to communicate with speakers of that language, both at home and around the world, to improve their own communication skills and to enhance their view of themselves as citizens of the world. دون ملاحظاتك بشكل جيد في الحصة الصفية. حل الوظائف البيتية بعد الحصة مباشرة. راجع بشكل سريع وظائفك قبيل الحصة التالية. حدد وقتاً في نهاية الأسبوع لمراجعة مطولة للمادة.